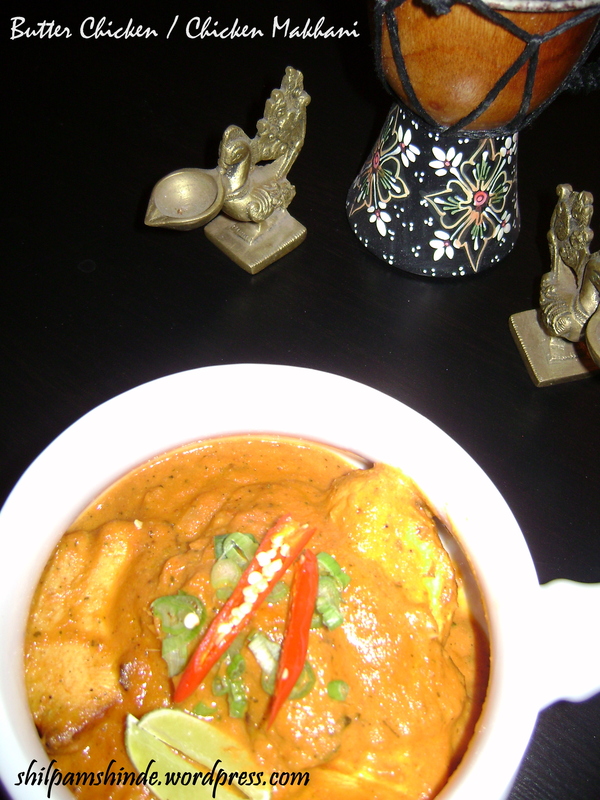 Chicken Makhani, this is one dish I always thought is for the restaurant. Not one to be recreated at home as it’s almost impossible to get the right mix of ingredients or I missed something. So I never actually got down to trying the recipe. Then the other day I went to Fresh and Easy on the way back home from work and picked up some never frozen chicken breasts. I really wanted to make something very Indian with some yummy curry. So I decided to challenge myself to the elusive perfect chicken makhani or the famous butter chicken. I browsed through a zillion recipes online and based on what I saw I came up with my own recipe. 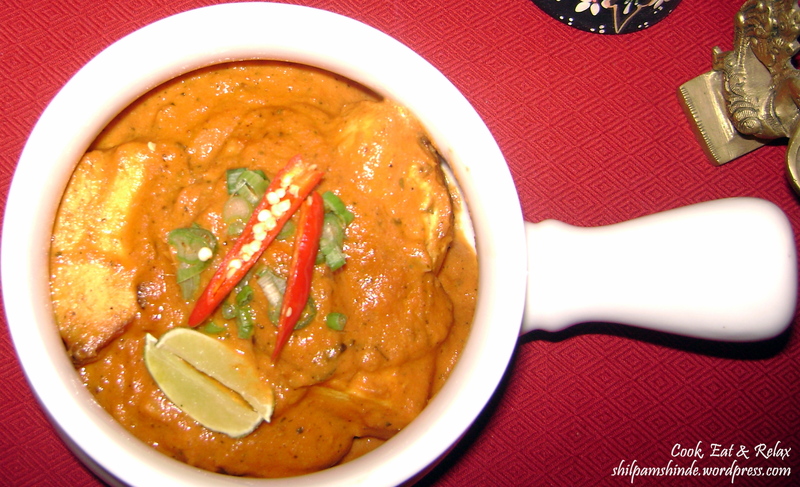 One which I hoped would be THE PERFECT BUTTER CHICKEN / CHICKEN MAKHANI. This recipe serves 2. And takes about 45 minutes to make if you multitask making the curry and the chicken. The curry itself takes about 30 minutes to prepare and the chicken about 30 minutes in the oven. You will need to marinate the chicken for a minimum of 2 hours or overnight if time permits. Marinate the chicken in the marinade for atleast a couple of hours. Roast the chicken in the oven till cooked throughly. Heat half the oil and butter. Once hot add the green cardamoms and nutmeg. Add the chopped tomatoes after about 15 seconds. Once the tomatoes are cooked thoroughly and mushy set it aside to cool. Once the tomatoes are cooled grind it to a fine paste and strain it to remove any large chunks. Next heat the rest of the oil and butter and add the garlic, ginger and green chilies to the hot oil. Once they have browned add the strained tomato paste. Let this mixture cook for about 2-3 minutes then add the red chili powder and salt. Bring to a simmer and add the cooked chicken to the tomato gravy. Bring to a simmer and add the dried fenugreek leaves and honey. Mix the butter chicken thoroughly and add the cream and let the butter chicken come to a slow simmer. 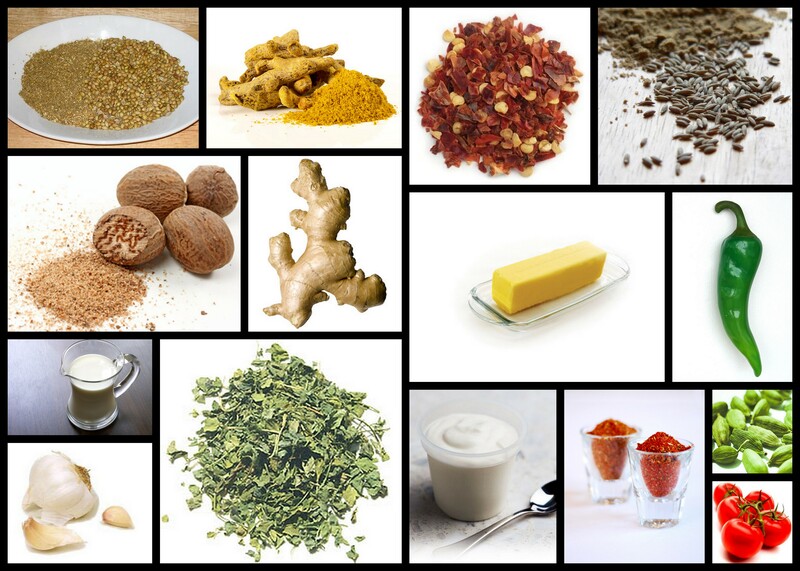 Remove from heat and serve with naan, paratha or any other form of bread. This entry was posted in Main Course, Recipes and tagged butter chicken, Chicken, chicken makhani, restaurant style butter chicken, restaurant style chicken makhani, tomato, tomato gravy. Bookmark the permalink. Looks like you had a long day today… A lot of cooking huh… I am glad you liked it!